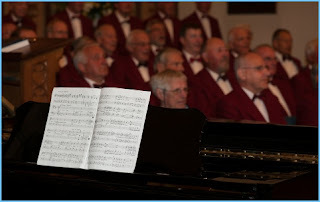 We are delighted that the Royal Tunbridge Wells Orpheus Male Voice Choir is helping us to raise funds for the recent renovation of the grand piano at King Charles church. We look forward to a great evening's entertainment, with a wide range of songs - including extracts from The Mikado, Les Miserables and My Fair Lady, together with hymns and spirituals. There is no charge for under-18s. The RTW Oprheus Male Voice Choir has been performing for 78 years for churches, charities and businesses to help with fundraising projects and to entertain customers. About 48 strong and growing, the Choir performs the year round. It has won several musical awards and has sung in the Royal Festival Hall, Royal Albert Hall & The Guildhall and toured abroad many times. Thank you for helping us to raise money to pay for our concert grand piano's renovation, which will enable us to continue to provide high-quality chamber music at this fabulous venue.